@Militant83 I buy my plastic pots for dipping from Brookside game calls. 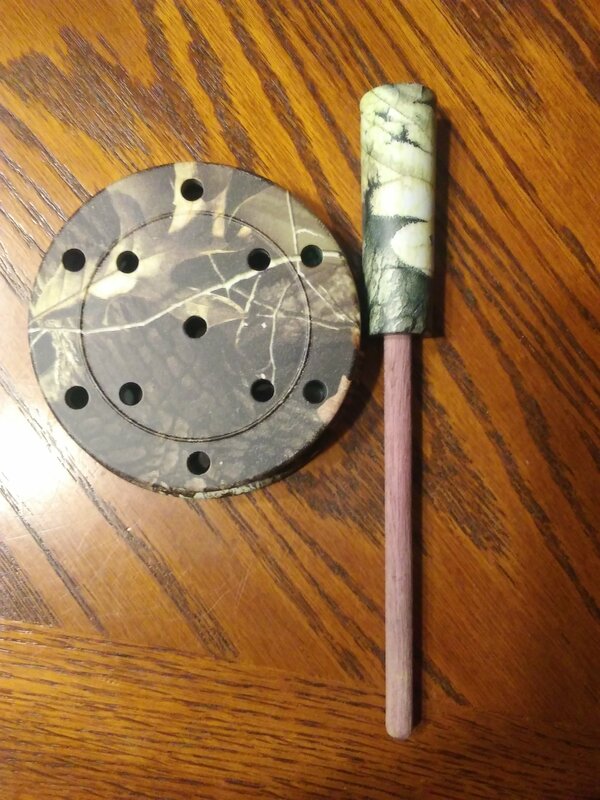 Very reasonable price and turns a 20$ plastic pot slate into a 30$ camo slate. 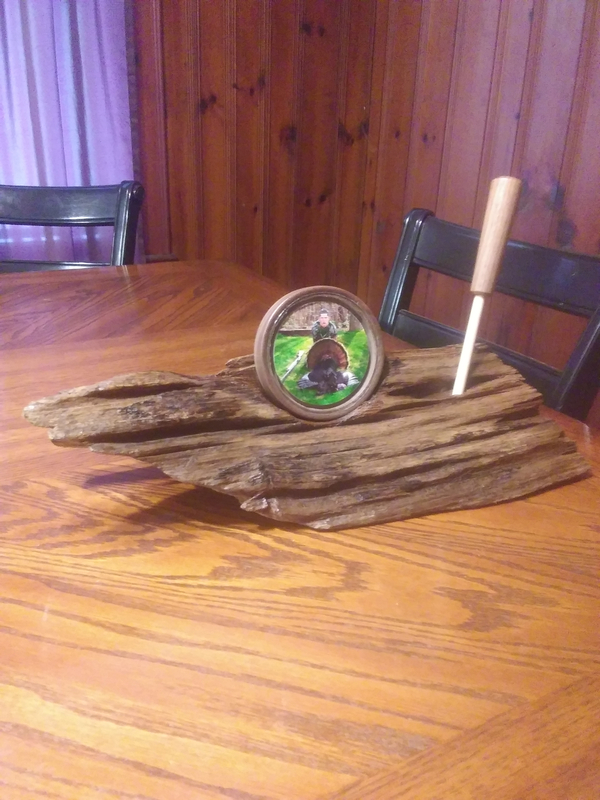 @Militant83 Make yourself a router jig to cut your pot calls out of kiln dried boards. Once you get your jig made and know the depth of your plunges you can cut out some pots pretty quickly and be spot on for the precut surfaces you're purchasing. 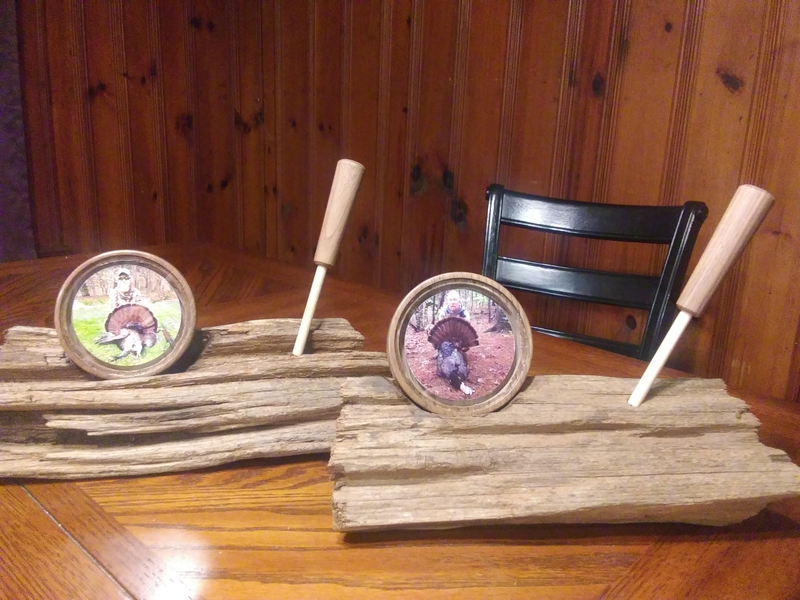 I use 3/4 boards for all 3.5, 3, and 2.5" calls. @Militant83, I agree with you, I like Shipley's pots better and they're good people to deal with. @MHcustoms, you ought to check 'em out. @midnight_dipper I have looked through some of Shipley's calls. 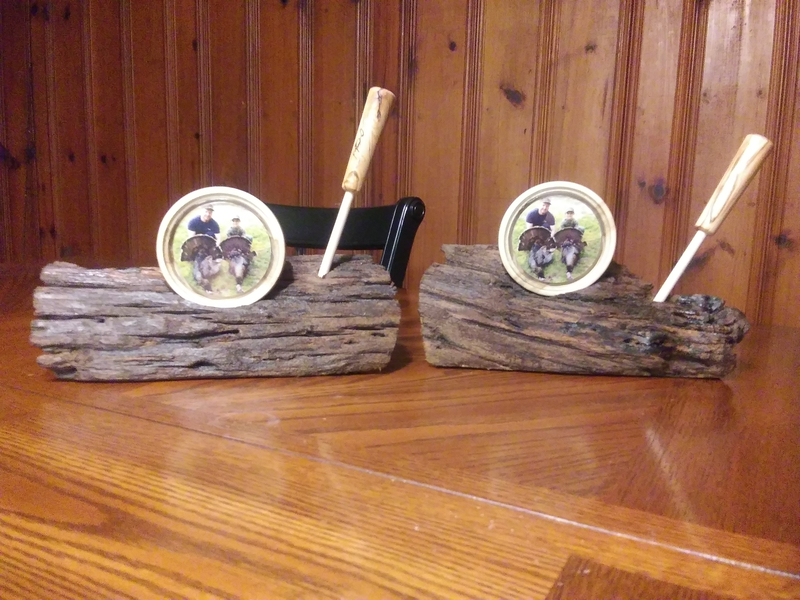 They look good but they're limited on different species of woods. I might order some of their walnut and maple and check them out. Browns wood supply is a good place to pick up some cnc one piece box call blanks/lids and they sell a multi sided pot also. @OverCoats Nope. No difference in harmonics. There is no difference in the sound of the dipped vs undipped. The sound resonates from friction of the surface vs the striker. The density of the pot has practically no effect on sound, just volume. Surface material, sound board material, and striker material has the biggest effect on the tones that a friction call will have. The thinkness of the pot itself has to do with the volume of the call. Thinner is louder and thicker is muted. That's why composite pots are louder than natural wood. Plus composite is denser therfore more resonation volume on the surface of the call. A dipped call is less than 2 mil thinkness difference vs undipped. @MHcustoms. Thanks for the insight and lesson on that. It makes sense now! 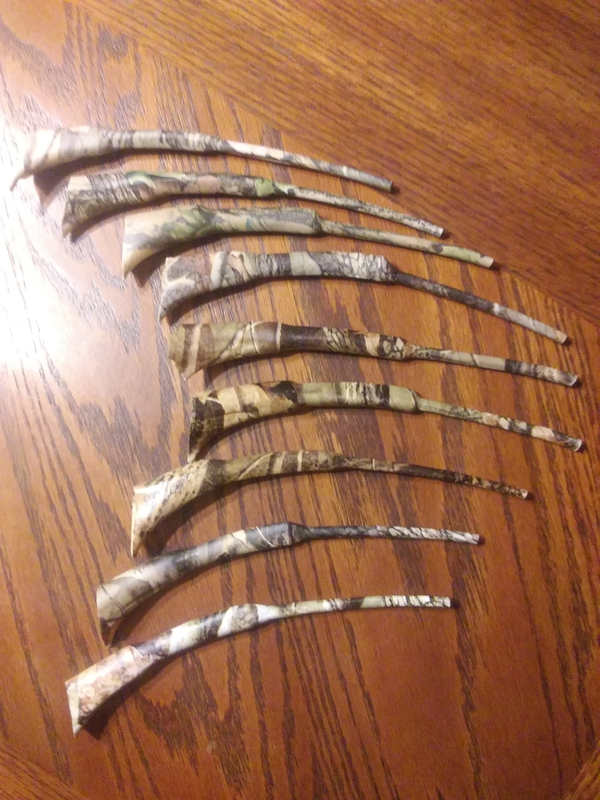 @OverCoats custom turkey calls and turkey hunting are my thing. I will not let a call leave my possession without my approval of tone. Except the picture calls. They are ornamental. Hydro dipping...... Not so much lol. That's why I'm here to pick the brains of professionals. @OverCoats I usually don't run a composite call hard except during windy days. If you stay close to the edge of the rim and out of the middle of the call it will tone it down significantly. And slate vs glass/crystal is more of a suttle tone. Good luck this spring. It's not far away. 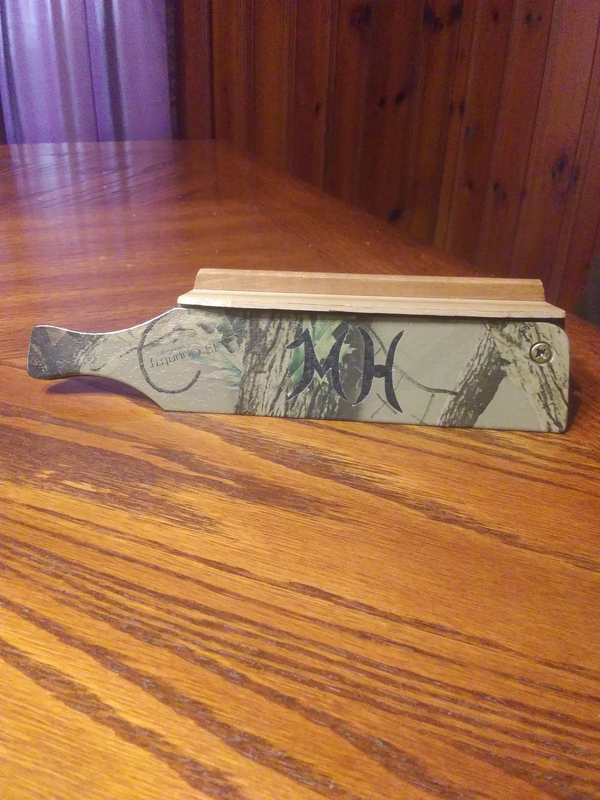 @MHcustoms I don’t usually hit the middle unless I’m locating one and need to hammer it.or use a box.My slate is really my go to. I just started playing with a crystal a couple years ago. So it’s a work in progress learning its ins and outs 😜.